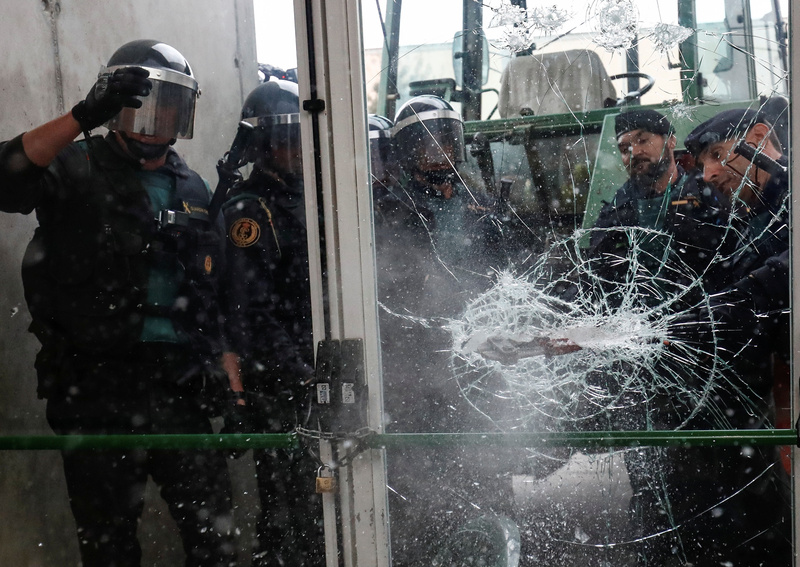 Despite violent police intervention, the region’s vote to leave Spain is unlikely to trigger a breakup of the country. Yet the political unrest has damaged an already weak government and could strain public finances. Spain’s recovering economy needs a bigger political discount. Ninety percent of Catalonians who voted in a violence-marred independence referendum were in favour of leaving Spain, the regional government said on Oct. 2. Some 2.26 million people voted in the poll on Oct.1, representing a turnout of around 42.3 percent, the government said. Carles Puigdemont, the head of the regional government, opened the door to a potential declaration of independence after the vote, saying that his government would ask the regional parliament to “act in accordance with the law” of the referendum. The Spanish government has said that the referendum is illegal. Spanish prime minster Mariano Rajoy offered on Sept. 30 to call talks with all Spain’s political parties to “reflect on the future of Catalonia”, Reuters reported. Spanish 10-year bond yields rose as much as 7 basis points to 1.69 percent in early morning trading on Oct.2. The IBEX 35 index of leading Spanish stocks fell 0.82 percent as of 0900 BST.